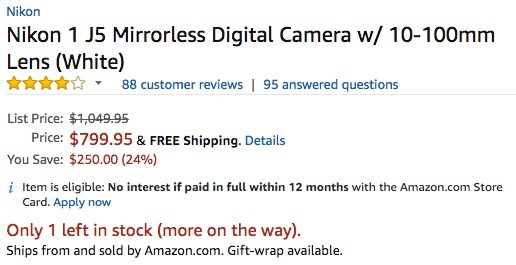 Amazon is currently selling the Nikon 1 J5 mirrorless camera with 10-100mm lens for $799.95 ($250/24% off). This deal is only for the white J5 version (sold and shipped by Amazon). The same kit is listed for $1,046.95 at B&H and Adorama. This seems to be a limited time deal from Amazon only and will not last long. 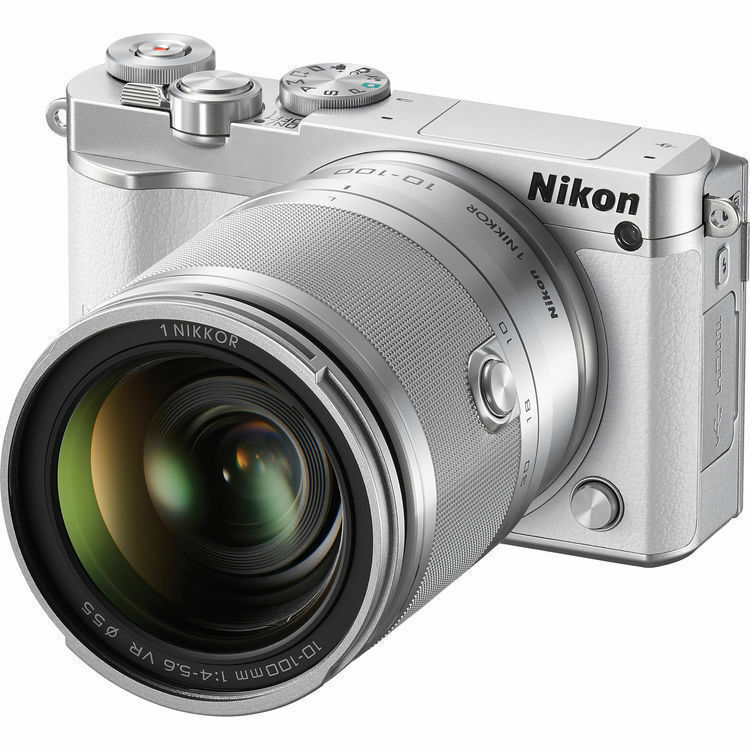 This entry was posted in Deals, Nikon 1 and tagged Nikon 1 J5. Bookmark the permalink. Trackbacks are closed, but you can post a comment.